Legend is an established contractor company within the interior construction profession, our objective was to refresh their corporate image by reinterpreting the design of their work space that they were relocation to. The design inspiration was from spring which brings us a youthful and energetic impression, we used yellow, green and wood from spring’s elements. The combination of these significant colours conveys the efficiency and progressive image. The general office area was designed as an open plan that uses linear patterns as the coherent element to create a sense of space. Due to the super low ceiling a open ceiling was adopted, we utilized yellow linear stripe pattern of suspension lights and partition frames presented the striking design elements. 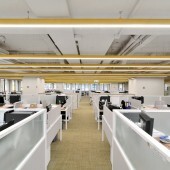 The contrast of these yellow linear elements with green carpet to visually made the ceiling look higher in space. The reception at the main entrance connected the cafeteria (causal meeting), boardroom and a large meeting room. These access areas are welcoming guests for meetings and presentation of projects. Beyond the reception area, the supporting staff office and director rooms were located. On the opposite side of the main entrance is connected to the project teams and there are 2 meeting rooms are exclusively for their internal use, this area also consist of storage, IT and service rooms. The project started in June, 2016 and finished in September, 2016, located in Hong Kong. We refined the space of reception by adding more timber elements based upon the requirement of “Feng Shui” that deliver warm and comfort atmosphere to the space. These details of timber slats interlocking in various heights were prefabricated and hidden steel structures were fixed for each timber slats individually to ensure of the perfection of alignment. Natural solid wood was selected and custom made uniquely for the reception counter, table in cafeteria and boardroom. The space is 1000 square meters. Based upon the stressful and hectic life in Hong Kong, it is important to make a balance and give a comfortable and relaxing work space for all the staff. Hence, we selected yellow, green, wood from spring’s elements to deliver a comfort and energetic ambient. The major constraint was the super low beam with 2.2 meters throughout the space and the challenge was to improve the oppressive feel of the low ceiling in result. In additional, the company also stressed the importance of practicality and the whole floor must accommodate a multitude of staff, meeting rooms, director rooms and more. 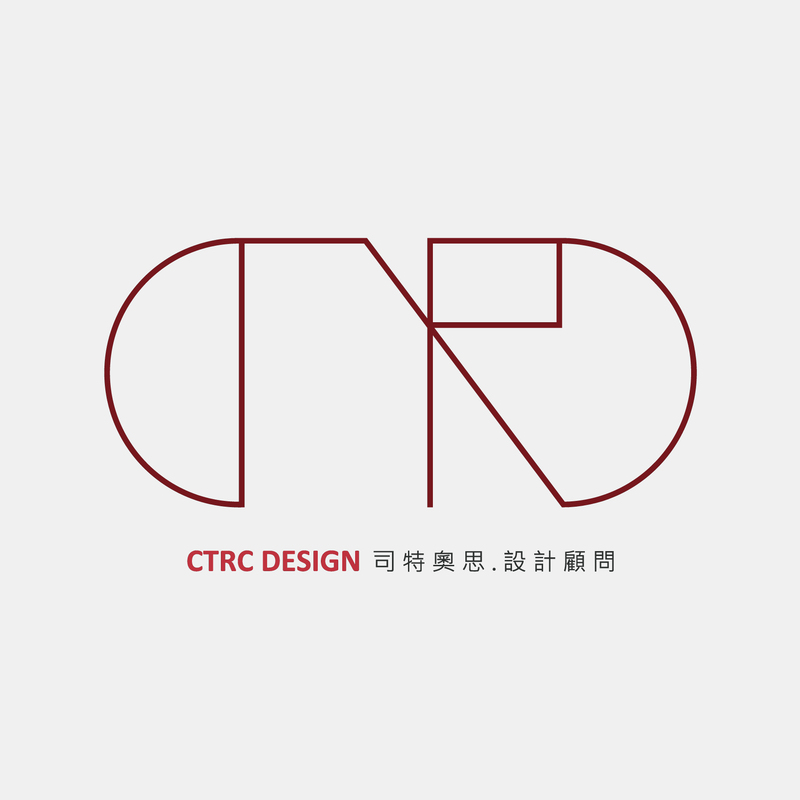 CTRC Design is an interior design firm which was established in late 2015 by Christine Tsui and Ryan Cheung, delicate to delivering innovative and practical in design solutions to clients. We are passionate about discovering and exploring design concepts, working through a wide variety of design elements, such as space planning, used of materials, proportion of details, furniture and lightings. We are experienced in an extensive range of large-scale projects in the hospitality, commercial, and residential industry. The objective is to provide an absolute satisfaction to clients, while respecting the need, vision and budget of each project. Legend Office Hong Kong Office by Ctrc Design Consultant is a Nominee in Interior Space and Exhibition Design Category. · Click here to register today inorder to be able to view the profile and other works by CTRC Design Consultant when results are announced. Legend Office Hong Kong Office by Ctrc Design Consultant is Winner in Interior Space and Exhibition Design Category, 2016 - 2017. · Read the interview with designer CTRC Design Consultant for design Legend Office Hong Kong here. · Press Members: Login or Register to request an exclusive interview with CTRC Design Consultant . · Click here to register inorder to view the profile and other works by CTRC Design Consultant . Did you like Ctrc Design Consultant's Interior Design? Did you like Legend Office Hong Kong Office? Help us create a global awareness for good interior design worldwide. Show your support for Ctrc Design Consultant, the creator of great interior design by gifting them a nomination ticket so that we could promote more of their great interior designs.